Sofia to Brussels Economy. Sofia Terminal 2 is new and empty check-in easy and friendly. Good price and only Euro 50 for an additional piece of luggage (up to 20 kilos). No delay friendly new and clean plane OK seats free drinks including beer and wine free food but this one is basic (tasteless sandwich and chemical waffle). So a good value as a whole. Problem is the small pitch you cannot even open your laptop to work. Two return flights on Amsterdam-Sofia route. Both times on a new and clean A319. Staff generally friendly and helpful good selection of drinks onboard. The worst thing is the small seat pitch- only 29''. The A319 in two-class configuration has 144 seats with 3 additional rows in Economy Class. The sandwiches they serve consist of tasteless bread and cheese. For 10 months between the 2 flights the food remained unchanged. Ground service is slow and staff inefficient. Online check-in is limited only to flights taking off from Sofia and going to particular destinations. Sofia-Varna-Sofia several times this summer. None of the flights were on time. Average delay of 2-3 hrs is rather usual thing than an exception. No compensation is offered. I would try to avoid them in the future. Sofia-Varna-Sofia my first time flying with FB and for 85 Euro return wasn't expecting much but pleasantly surprised. Check in for both flights was fast and as I am 2m tall was offered an aisle seat without asking. Service on the 40 min flights was good considering drinks and a croissant offered and crew were friendly. BAE146 was old but clean and appeared well maintained no problem flying with them again. Seat pitch was ok no different to other short haul. ZRH-SOF. Flight on time good service onboard friendly staff. Aircraft a bit old. Good value for money. LGW-VAR Outgoing flight bumped twice before we even arrived at the airport then a technical failure so ended up flying at 2200 instead of 0830 - arrived 0400 with no public transport. Aircraft needed a good clean to fixtures and fittings cabin lights not working properly. Return flight very tatty and dirty lights again faulty. Seat pitch awful. Call centre staff in Sofia didn't do what we asked. Flight crew okay spoke English and Bulgarian. Quality of service that of Ryanair/Easyjet but full price tickets. ZRH-SOF clean A319. Cabin staff friendly and food was quite nice given the duration of flight. Legroom a bit on the short side. Overall quite satisfied with the flight. TLV-SOF return A319. Good drinks service fairly friendly crew good info given by the captain in clear English. 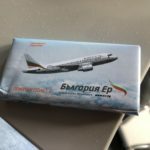 A nice unexpected bonus - I signed up for Bulgaria Air miles program (they don't partner with anyone else). The line to the check-in counters was huge in Sofia. They had (to my pleasant surprise) a check-in line for Frequent Flyer members not just Business. Berlin to Sofia in a slightly aging though clean BAE 146. As the plane was full seating space was a bit tight. Plane on time crew reasonably friendly. Onboard service included two big sandwiches and a small piece of cake. Beverages non alcoholic and alcoholic (beer or wine) and offered in large quantities. Newspapers available but only in Bulgarian language. Overall a good experience. 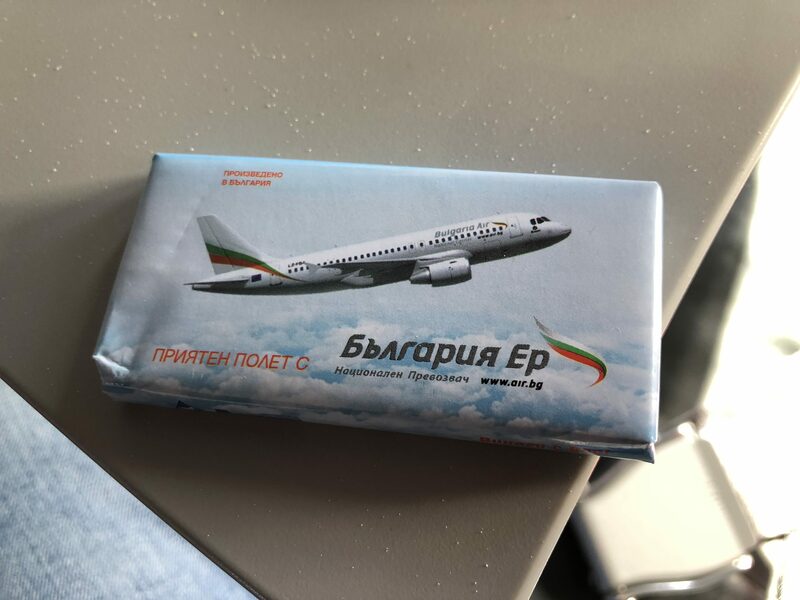 Sofia-Burgas-Sofia. One of the cabin crew on the first leg of the journey seemed a little grumpy but the rest of the staff were all helpful and cheery. They did a magnificent job on the 40 minute flight distributing free juice coffee croissant and newspaper! The seating was a little cramped for width but as neither journeys were overly full it was ok. Might be a problem on a longer flight.